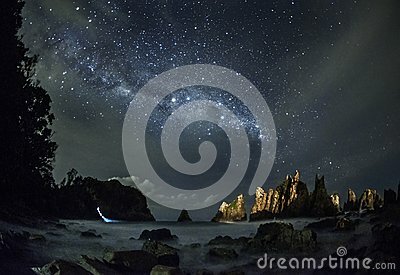 stock image of Landscape with Milky way galaxy. Night sky with stars. stock image of A Milion Stars.